York Party Bus Rental provides the best party bus service in York, PA and has the finest fleet of limo party buses. Don’t let the word ‘bus’ trip you up. Oh these are not buses! We are talking about a luxury limo party bus. It is truly your own party room or nightclub on wheels. Your party begins when you take your first step inside. Why would you want to rent a party bus from York Party Bus Rental? 1. Eliminate Hassle - We know what a hassle it is to try to coordinate drivers, find parking and then search for each other once you get there. When you rent a party bus from us, all of your stress is gone. Our drivers know their way around so there are no worries about getting lost driving from one place to another. We’ll pick you up at your designated place and return you to your appropriate spot at the end of the evening. We are your designated driver, so your concerns about someone drinking and driving are over. You want a party and York Party Bus Rental makes it easy for you! We will get you there you there safely - Our chauffeurs are prompt, courteous and safe. Our party bus drivers go through training before we allow them to drive for us. They’re drug tested and licensed to ensure a safe and fun time for our customers. They are professional and will always be on time. When you need things to be discrete, we will be sure to keep what goes on during your time in a York Party Bus Limo private. Our job is to make your party bus occasion flawless. Satisfaction, Trust, and Reliability - No other party bus rental company goes to the lengths we do to make sure that your excursion is even better than you imagined! All of our agents, logistics experts and chauffeurs participate in training programs created to guarantee your expectations are exceeded. You can trust that we will do what we say we will, and be there when expected. Our prices are affordable - When you think of limousines and party buses many times you think ‘spendy’. Give us a call to get your quote today - you will be surprised at how reasonable our party bus rentals are. We also offer specials, peak discounts or other seasonal promotions. So, check in often! 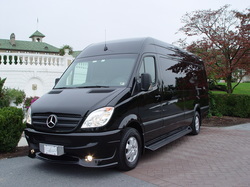 Our fleet - York Party Bus Rental in York, PA has exactly what you are looking for in a luxurious party bus limo rental. We have a variety of vehicles that can accommodate any size party. All of our party buses are well maintained, clean, smell new and have everything you need to make lasting memories. When you have a special occasion to celebrate, and you want to treat yourself and your friends with a luxury party bus rental, call York Party Bus Rental at 717-801-1729. We have the most exclusive and extravagant limousine party bus rides in south-central Pennsylvania. York Party Bus Rental is committed to giving you and your party friends a first class event here in York, PA. We try to accommodate any request within reason. Please give us a call 717-801-1729 and give us the opportunity to create the party bus experience of your life. Best York Party Bus Rental - Hire Us For Events Like These! Bachelor Party Bus Rental and Bachelorette Party Bus Rentals- You have finally made it official. Gather your friends and your wedding party and celebrate your last night single in class. Want to bar hop, or visit the hottest clubs? Maybe you want to go to a restaurant and shop. No matter what your budget is or your what you want to do on your night out, we can create the perfect Bachelor / Bachelorette party bus experience for you. Birthday Party Bus - York Party Bus Rental for birthday party limo service will make your birthday party special no matter what age you are. A birthday party bus limousine is a perfect gift for your child, spouse or special friend. You and all of your guests will have a safe, fun and memorable time. What a great way to make the most of your day and begin the new year with a BLAST! Prom Party Bus - When you think of High School the two events that stand out are Prom and Homecoming. You want to be sure to create amazing memories for your children all of their friends. Can you imagine spending your Prom or Home Coming after party on your very own luxury party bus rental with all of your besties? We know all of you parents love to show off your children in Facebook - snap some photos of your kids having the time of their life and post away! Any other group event where you are looking for the most amazing party bus transportation experience of your life! Our Party Bus limos book up fast! Call York Party Bus Rentals 717-801-1729 to get your party started!